Today’s guest blog is authored by Steve Goodwin, a principal at Brand Foundations, a strategic branding & purpose partner of Peppercomm’s. Enjoy….. Yet again this week, we’re reminded that a trapped, wounded animal is dangerous. 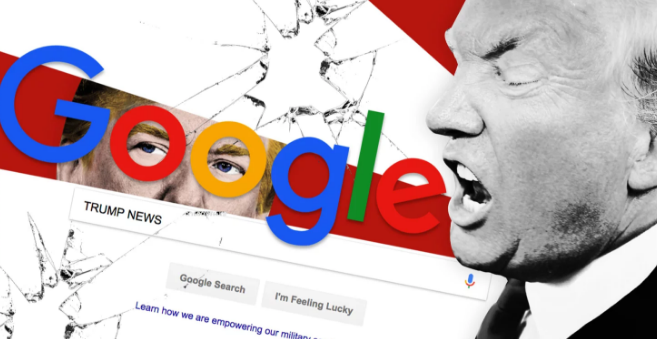 Like an orange pain-riddled bear with his leg hopelessly caught in a snare trap, President Trump lashed out at Google, accusing the search giant of baking the results in favor of liberal media outlets so that a search of “Trump news” always returns negative stories. [An aside: I’d offer the president the same gentle advice I’ve been giving to clients for years: “Uh… you have more control over this than you may think.”] As is far too often the case, the president’s info started as a discredited story being peddled on Fox before it made its way into his never-used-a-computer brain and out his tiny tweeting fingers. enabled a speedy response because Google’s comms team had it at the ready: they didn’t need to create a one-off statement in a panic and then run it up the chain in a frenzied attempt to get agreement on a final version by the end of the day’s news cycle. It was also a powerful opener and a perfect springboard for the rest of the statement, which went on to refute the president’s charge in greater detail. The statement wouldn’t have been nearly so strong had the order been reversed. Of course, Trump vows to “look into” the matter, ensuring the story will stay in the news for a bit… as does the fact that the leaders of Facebook, Google and Twitter are slated to appear before a Congressional committee next week to talk about censorship and election interference. Like the trapped bear striking out in fear at what it can’t comprehend, Trump’s howling at the tech world at least proves that there is no industry he won’t go after. No matter how big, deep-pocketed or popular, no company is safe. And the fact of the matter is that in our current fractured climate of tribalism and corporate reckoning, threats to an organization’s brand and reputation can come from any direction at any time… not just from 1600 Pennsylvania Ave or Mar-a-Lago during yet another fitful night. That’s why smart organizations that play on the national stage are well-advised to proactively undertake a process that identifies, assesses and monitors for enterprise-wide reputational risks and guides the creation of purpose-driven plans and content that allow for taking a reasoned, rational and rapid stand… one that rises above the level of the incoming attacks. Funny I should mention it, because that’s exactly what StandSmartSM – a new in-the-works joint offering from Peppercomm and BrandFoundations – is designed to deliver. Stay tuned for details (but reach out now if you want a preview). With trapped animals as with trapped presidents, the only predictable thing is their unpredictability. And as Google and countless other companies have learned, you don’t need to pick a fight in order to find yourself in one. Stand ready. Stand strong. Stand smart. 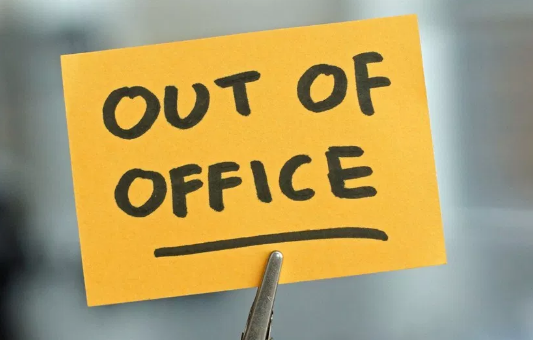 Much needed vacation – see you next week! Repman is taking much needed vacation and will return after the Labor Day weekend. I had the distinct pleasure of working with Chris Tennyson at Hill & Knowlton at a time in history when H&K was considered the Tiffany’s of the PR universe. There was H&K, and then there was everyone else. After leaving H&K in the mid-1980s, Chris went on to build a formidable career on both the corporate and agency sides of our business. The excerpt, just like the book itself, is a MUST read for anyone counseling a CCO, CMO or CEO. Enjoy! 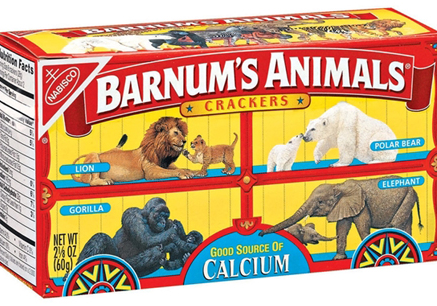 This week the Nabisco division of Mondelez International unveiled a newsworthy packaging redesign of its Barnum’s Animals cookies. 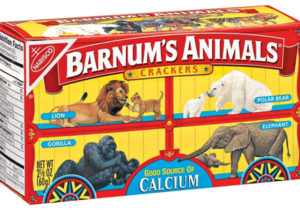 Since 1902, small boxes of America’s favorite brand of animal crackers have been adorned with images of circus animals caged in boxcars. Not anymore. The majestic lion, elephant, zebra, giraffe and gorilla on the updated packages now roam free. Great move by Mondelez to keep an iconic brand in step with the times – and avoid a crisis. No shaming, no boycott, no crisis. Smart policy updates should not be seen as any less heroic just because they were made in response to outside pressure. CVS discontinuing sale of all tobacco products, SeaWorld ending its controversial orca whale breeding program, and the Miss America organization’s elimination of the swim suit competition are examples of corporate decisions, generally well-received, influenced at least in part by looming reputational threats. Timing is important. Slow response to changing mores contributed to Ringling Bros. and Barnum & Bailey Circus folding its tent for good in 2016, just a year after begrudgingly announcing that it would phase out elephant acts. So, the responsive cookie brand survives, while the stubborn institution it was named after no longer exists. 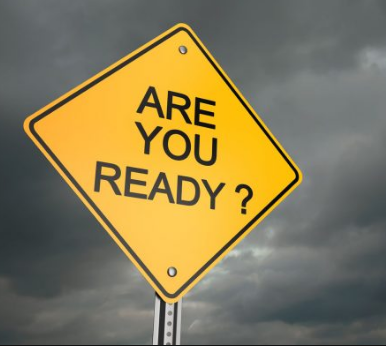 There’s a valuable lesson in that scenario for marketers and communicators wanting to improve their crisis preparedness quotient. *Animal Crackers in My Soup was a hit song performed by child star Shirley Temple in the 1935 film Curly Top (it’s probably not on your playlist). Today’s guest blog comes courtesy of Matt Purdue, one of my Peppercomm colleagues who started his career as a sports journalist yet still can’t win our fantasy football league…. When will brands finally realize that standing in the middle of the road on controversial issues of the day is only going to get them run over? And maybe even run over by the most powerful influencer on Earth. Our latest victim is ESPN, which is being blindsided for doing…well…nothing really. In the midst of the NFL’s bubbling anthem controversy, an ESPN executive recently stated that the network was sticking to its longtime policy of not broadcasting the anthem before games. In fact, most networks don’t broadcast the anthem unless it’s a special occasion. As I’m writing this, ESPN has not responded — and that’s a huge mistake. Love him or hate him, Trump has a huge following. His approval rating among Republicans is 87 percent! If you don’t believe the power he wields, check out the exploding #BoycottESPN on Twitter. ESPN staying silent is tantamount to condoning Trump’s stance. It’s not ESPN’s job to cover politics? Excuse me? It’s 2018, and we’re living in the most polarized political climate since before the Civil War in the 1850s. ESPN and every brand must realize that it’s at risk of running into a political firestorm at any time, 24/7/365. But this is far from a perfect world. In reality, ESPN has two choices: 1) Stand firm on not airing the anthem because our “beautiful, beautiful” national hymn has become a political hot potato; or 2) commit to airing the anthem before every game to bring viewers real-time reporting of how players and fans are reacting during the song. They still have an opportunity to take a stand, but will they? Instead, ESPN is sitting in the middle of the road. And now it’s getting run over. Fact: The Cleveland Browns lost every single game last season. They hold the distinction of being one of the few NFL franchises to ever record such a dubious accomplishment. Fact: Bud Light is one of three or four mega beer brands that routinely spends hundreds of millions of dollars to convince the NFL faithful to sip their suds while lounging on couches and channel surfing from one game to another. Then I remember that my personal and professional motto is: “Expect Less.” That comforting reminder enables me to de-stress. The specialty-designed fridges, painted brown, chock full of Bud Light beer AND chained shut will be unlocked by smart technology as soon as the game ends. FYI, the chained fridges will open regardless of whether the Browns win at home or on the road. This would NEVER have happened if the Browns hadn’t embraced their vulnerability. That tells me they have wise, humble ownership (a rare commodity in any business). 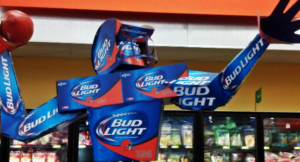 In one fell swoop, Bud Light outflanked every one of its competitors vying for market share in BrownTown. Critically, though, they also connected with NFL and beer fans alike by “rooting for the underdog.” I’m not a Browns fan and I don’t drink Bud Light, but you can bet your last glass of Sancerre that I will be closely following the Browns’ exploits and maybe, just maybe, will buy a six-pack of Bud Light to join the celebration. The latter is called “consideration” by marketing types and it’s the currency of the realm. If ANY marketer can disrupt my typical buying (or viewing) pattern AND get me to consider their product in my selection process, then they’ve completed the sales equivalent of a Hail Mary pass. I wish the Browns well, salute their willingness to embrace vulnerability and lift my wine glass to the brilliant marketers at Bud Light. Is Google’s North Star Going South? 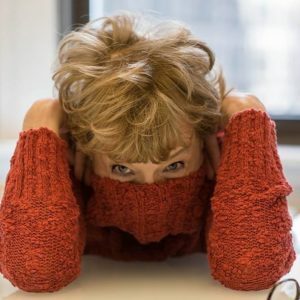 Today’s guest blog comes courtesy of Deb Brown, one of my Peppercomm partners in crime who doubles as the very best media relations strategist in the business…. All companies – regardless of size – need a purpose, the reason why employees come to work each day and what the company stands for. The purpose is its North Star, guiding the company through difficult decisions and challenges, ensuring it remains true to its beliefs. Yet, Google’s North Star seems to be going south. According to Fortune, Google, which originally pulled out of China in 2010 because the company refused to give in to the government’s censorship demands, staying true to its focus on digital rights and an open Internet, is now seeing things through a different lens, specifically a “green” lens. Google’s “secret” project called Dragonfly is expected to enable a censored search engine and censored news aggregator app for China. While some employees are supportive, many employees are furious. And it’s probably just a matter of time before consumers react as well as other companies that do business with the search giant. How prepared is Google to deal with the potential fallout? How far is Google willing to stray from its purpose as a company and what it stands for? If Google’s deal goes through, will the money be worth the hit to its reputation? And, even if the deal falls through, is the damage already done? 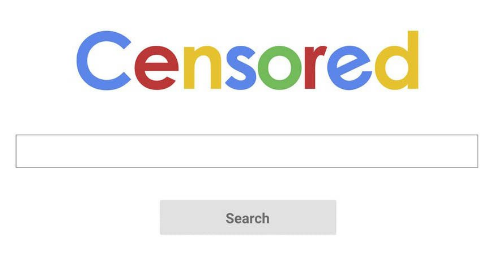 What will Google stand for now? While we help companies navigate these very rough waters, only the company itself can determine what it should stand for. Google may think it won’t be hurt because it’s the giant in the industry. But, every Goliath has its David. In our tumultuous scandal-riddled, societal crises-driven landscape, organizational vulnerability has never been more fragile. And the role of the CCO/CMO has never been under greater stress. But, for those who anticipate, plan, test and re-test the societal crisis response systems, the opportunity to rise above the fray and bring clarity to the fog of war has never been more readily available. Ah, but one needs to know where to look, determine what constitutes a brand threat, assure your response will align with the organization’s higher purpose AND then decide if, how and when to respond. I had the amazing opportunity to co-host an IPR-sponsored webinar (playback available next week) yesterday with Linda Rutherford, SVP and Chief Communications Officer of Southwest Airlines. We were simultaneously addressing the best practices IPR and Peppercomm, my firm, had gleaned from in-depth interviews with 50 leading CCO/CMOs. (Note: I made the editorial decision that the Donald/Omarosa nonsense didn’t warrant any more attention). Linda went way above-and-beyond the call of duty to share the inner workings of SW’s iterative, rapid response model using such examples as the Texas Bathroom Bill to explain how each and every facet functioned. The days of remaining silent as social crisis after social crisis unfolds outside your corner office are over. The social issues crisis you overlook is the one that will put you on the front page of The New York Times faster than you can say Gail Collins. To wit, we briefly addressed a recently-released list of 15 U. S. organizations with high-priced, long-term contracts with the controversial government agency I.C.E. (Think: separation of children from their parents along our country’s Southern borders). To my knowledge, only two of the 15 have been savaged by internal constituents for “apparently” endorsing human misery. And only one has found itself a front-page story in the Times: Deloitte. I have no idea if Thomson Reuters, Dell or the other mega players playing with I.C.E. (Or F.I.R.E., if you prefer), have issued statements clarifying why they continue their relationships but they better do so soon. Any crisis counselor, whether old school or new, knows the best way to manage a highly politicized crisis is get out in front of it. Explain why you’re in bed with I.C.E. Follow Deloitte’s lead in explaining that NONE of your contracts have anything whatsoever to do with separating children from parents or detaining the kids in medieval holding pens and double down on your higher purpose and guiding principles. I hope yesterday’s webinar attendees grasped the immediacy of the situation and the need to overhaul whatever crisis plan their global agency may have created back in 2003. Those work plans are about as relevant as a Blackberry in today’s workplace. If I need to scare you even more, consider this: the mid-term elections are just a few months away. If your organization is headquartered in a state holding Congressional elections, you better be prepared for employees (and, perhaps, board members) to insist your CEO speak up on everything from gun control and tariff wars to Russian hacking and NFL players taking a knee during the national anthem. And, if you should happen to find yourself on the receiving end of a vicious attack by President Trump, you better have already decided whether to respond, if an employee and dealer-only e-mail a la Harley’s strategy is sufficient as well as how your multiple constituent audiences will respond. It seems to me the days of sticking one’s head in the sand are gone with the wind (and trust me, when the wind hits your company, it will probably carry the wallop of a Force 5 Hurricane). So, get thee prepared. Now! I’m impressed by the actions of Fallon, Olson Engage and Initiative to step up, stand out and fire their client Papa John’s in the aftermath of the N-word controversy. Skeptics could argue that, by firing Papa John’s, each agency will now attract new, and more reputable, clients as a result. One could also surmise such a move will motivate existing employees to stay put while attracting recruits with a desire to work for an agency with ethics. But I can tell you as an owner of a 22-year-old firm, it’s very tough to walk away from guaranteed billings. Very tough indeed. Setting aside higher purpose for a moment, the owners of Fallon, Olson Engage and Initiative also have a payroll to meet. And, that’s when an entrepreneur has to stop and think about the implications of firing a quasi blue-chip client like Papa John’s. Sure, your Millennials will love telling their peers you did the right thing, and they work for an agency that places ethics above profits. And, in your mind, you HAVE done the right thing. And that, my friend, is why it’s so lonely at the top. I’ve fired quite a few clients during my tenure as Peppercomm’s CEO. But, none were a result of what I’d call a societal crisis a la Papa John’s N word debacle. – They were beyond abusive to our account teams (I’d rather keep good people than uncouth clients). – They poached a key employee without first extending the courtesy of asking my permission (a clear breach of ANY client-agency letter of agreement). – They were actively interviewing other agencies while we were under contract and none the wiser to their Machiavellian machinations. – They demanded too much for too little. Having the spine to fire a client sends a strong message to one’s employees and reinforces the organization’s higher purpose. But, it’s a decision that carries serious financial implications as well (which I doubt the average account manager appreciates). 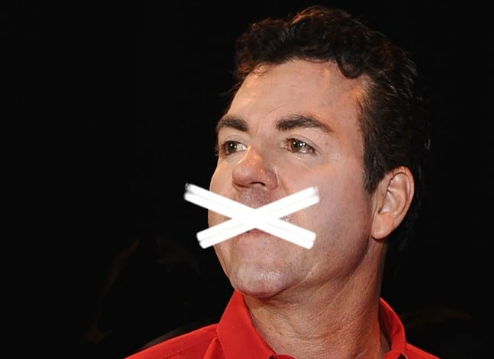 Firing Papa John’s would have been a no-brainer for me (regardless of the billings). It’s the gray areas that keep turning what little hair I have left even grayer.